There are millions of pet dogs, cats, rabbits, birds and other kinds of animals living in households all over the world. They’re loved and taken care of. Often we bring a cat or dog just so that our little ones can have a playmate. A furry little fellow jumping from the couch to the table seems all too exciting and cute, right? But for some people, taking in a pet is not just about having an animal to bring a different flavor toeveryday routine. They’re not just meant to be play buddies. They become the source of emotional support as well. 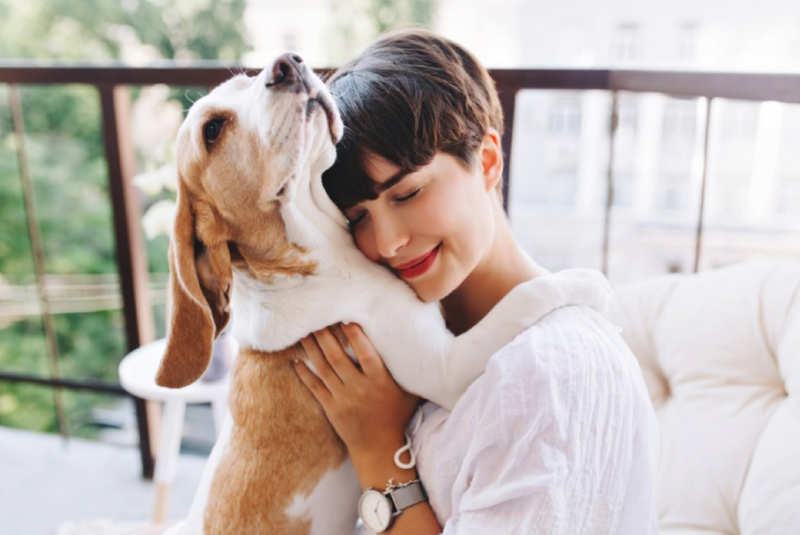 In the United States, the idea of Emotional Support Animal or (ESA) has become quite popular over the years. There are people who are suffering from various types of mental disorders like depression, bipolar disorder, PTSD and so on. These people are advised to bring in a pet animal that can turn out to be a great source of mental support. Psychologists have carefully observed patients with certain types of mental disorders. They have noticed that these patients often show signs of improvement at the presence of an animal. They become calmer and behave in a more constructive manner. They show signs of compassion and develop a strong sense of responsibility towards the animal. It’s found that a pet cat or dog does not need to behave in a certain manner in front of a psychologically challenged patient. Their presence makes these people feel better anyway. So it’s safe to say that an emotional support animal does not need any specialized training like support dogs that helptheir owners with day to day simple chores. Now there are some simple things that you need take intoconsideration when it comes to dealing with an ESA. Let’s explore those issues. This is something you need to keep an eye on especially if you’re taking in a dog or cat as an ESA. While most pet dogs and cats are not aggressive, it’s not unnatural for some to act differently. In such cases, you may face troubles to bring your pet along whiletraveling. The authority may not allow your pet cat or dog to accompany you since it can endanger other passengers. It’ll also be difficult for you to rent a place. The owner of the house may not appreciate having an aggressive animal in the neighborhood. And more importantly, an aggressive animal may not serve the purpose altogether when it comes to supporting a mentally disturbed patient. So how do you deal with this problem? Make sure to mention the purpose for you to have an animal at the first place to the person from whom you’re taking it. Ask him about the nature of the animal. Whether it’s too aggressive or not. If your ESA shows any signs of aggression, you can always correct that through some basic training. You’ll find loads of videos online that can help you with that. Follow the instructions carefully and you’ll be well on your way to teach your animal to behave. This’ll require some training for your ESA but it’ll surely help a lot in the long run. A pet may not be aggressive but it may not follow your instructions either which can be problematic. If your pet is not obedient to you, it’ll be difficult for you to bring it along while traveling. It may cause disturbance to the other passengers and their pets. A disobedient pet dog or cat may cause all sorts of troubles at home as well to get you stressed out. For someone who is keeping the pet for mental support, this is a serious drawback. So follow some basic petting techniques to train up your pet from a young age to follow your instruction. This’ll help you to develop a strong connection with it too. Just like us, pets are also vulnerable to diseases. The last thing you need is watching your emotional support animal suffer from pain and even die. Doesn’t sound quite settling right? Keep an eye on your pet. See if it’s becoming lethargic or suddenly showcasing excessive aggression. If it’s behaving differently, maybe it’s facing some sort of discomfort. If you think your pet is not doing very well, take it to the vet as soon as you can. This will surely save a lot of pain for the poor animal. Even if your pet is not showing any signs of sickness, take it to the vet at least once every six months or so. This will ensure you if your animal is doing just fine. A regular-checkup is also quite effective to diagnose any disease before it becomes a serious threat. So make regular appointments with a reliable vet. This is mandatory for any pet animal. Make sure your pet is getting the necessary shots to thwart unwanted diseases. Vets recommend shots for rabies, hepatitis, andDA2PP for dogs. For cats, vets advise taking shots for rabies, calici, feline leukemia and so on. Animal proofing your house is important if you’re about to bring a pet for the first time in your place. This is not a complicated procedure and won’t take long. For your pet cat, dog, rabbit or guinea pig, make sure all your house exit routes aresecured. Otherwise,your pet may sneak out and cause you trouble. Thoroughlyscan the house and repair some weak spots. Block the nooks and crannies inside the cabinet or other furniture as well as electronic appliances. This’ll keep your pet safe from getting stuck or even electrocuted. Are you getting a larger breed to pet? That case you should think of keeping a heavy duty dog cratewhere your pet dog can rest. For your cat,you can buy a cat scratcher. These tiny members of the Felidae family love to keep their nails sharp. Always remember, having a pet animal is a huge responsibility and so it shouldn’t be taken lightly.If it’s an emotional support animal, simply follow the steps I’ve mentioned above. Take in an animal that’s not aggressive and well behaved. If not, you can always spend some time training to improve their behavior. At the same time, take the animal to a vet for a regularcheckup. You should also give it the necessary shots that are recommended by experienced veterinarians. Keep your house animal-proof. These are all simple tasks that’ll allow you to have a great experience with your ESA. Shawn is a content writer at FeedFond. A pet enthusiast, he loves all things animals. To read more of his articles, visit FeedFond.com.